I seem to have stumbled on the perfect chunky lip pencil. I say stumbled because the only review I have seen of these so far is from Laura at Buy Now Blog Later and as far as I know, these haven't actually launched in the UK yet. Dubai launching something before the UK??? Unheard of usually. I am a big fan of chunky lip pencils-I must be seeing as I have a whole muji drawer dedicated to housing them! My previous favourites were the Nars Velvet Matte formula and the Tarte Lipsurgence matte-but these have now been swept aside. 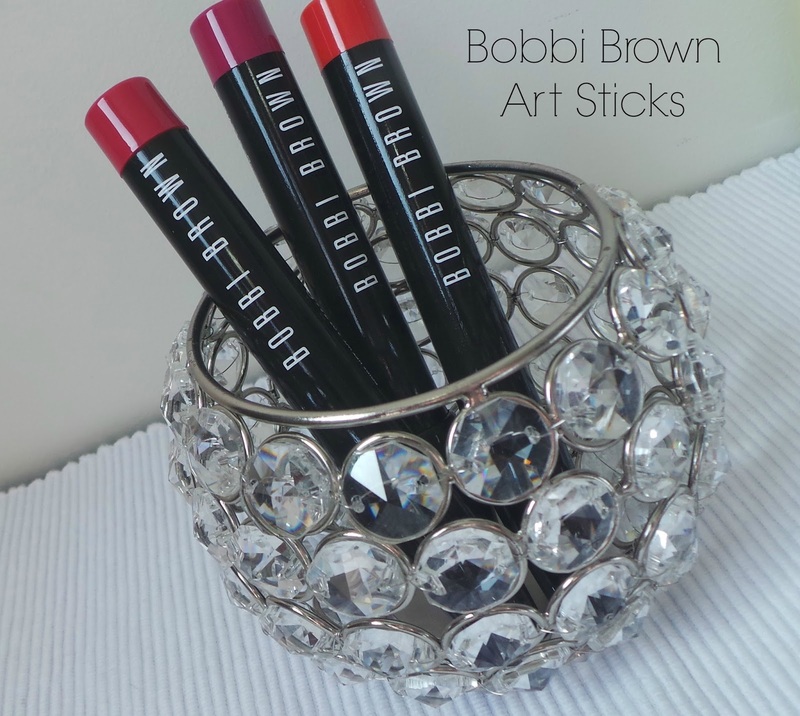 Yes fellow beauty lovers, there's a new girl in town and her name is Bobbi Brown. The formula: Ridiculously easy to apply to the lips because of the 'reminiscent of childhood' crayon shape. Remember to stay inside the lines kids. And the formula is nothing short of immense...really. The problem with pencil formulas is that they can be drier than the Dubai desert. Not these chunksters. The shea butter packed pencils glide on without being too slippery and leave a semi matte finish on the lips. And once on, the formula stays really comfortable on the lips and feels weightless. My lips didn't feel dry all day and when topping up my lip colour I didn't need to add a slick of lip balm to rehydrate before re-applying. There was no pesky flaking off of the colour nor any bleeding-two pet lip related hates of mine! Definitely more hydrating than the Nars Velvet Matte pencils. Pigmentation: I chose three pretty punchy shades (there are only 8 in the range but 4 are relatively neutral-ish) and I am bowled over by the pigmentation. Top marks. Lasting power: Pretty decent. I got 3 to 4 hours out of mine with an even fade. It's fair to say these shades are going to be a staple over the summer and I got to thinking which of my beauty blogger friends would also like these. Sunset Orange has got beautiful Sarah from And Beauty Or Something whose blog I adore and lovely Laura (whose complexion is like the perfect English rose) from Laurzrah's name all over it!! 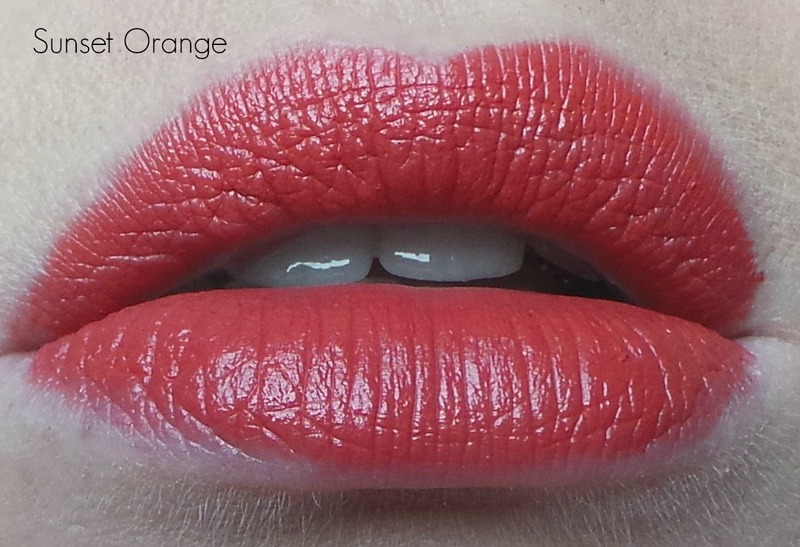 Both of them love a bold lip and this punchy 'Lady Danger'-esque shade is going to be right up their street I am sure. One blonde (like very blonde) and one brunette but both of them will look stunning wearing this shade. No one pulls off a pink lip as well as my gorgeous friend Antonia from Mac and Cheese. I remember her frantic search for the limited edition Mac Embrace Me bold pink lipstick last year. I love the combination of blonde hair and pink lips and I know Antonia would wear this night and day. This was easily the longest lasting of the three and the prettiest whether it was 'just applied bold' or 'what was left on my lips after eating a whole tub of yoghurt'! Finally the adorable and hilarious Kate from Pretty Little Us would rock the socks of this bright fuchsia. This shade, whilst still being matte has a lovely sheen to it. 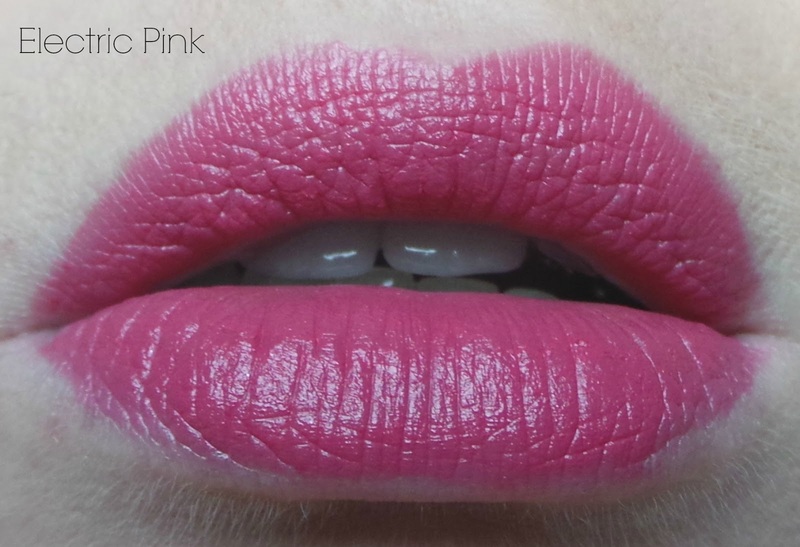 If you missed out on Mac's Flat Out Fabulous retro matte lipstick from last year this is a great dupe for it. But the Retro Matte formula is painfully drying on me and I would pick this Bobbi Brown formula any of the Mac matte offerings any day. Ahh all of them! Want! I haven't seen these yet, so I'm definitely on the lookout for them! Ermygurd. I NEED the electric pink one! The formula on these looks incredible! I am all about the moisturising chubby lip pencils :-D The colours are fabulous too. Sunset orange is gorgeous!! Definitely one for my wish list once they arrive in the UK. Bright raspberry is soooo beautiful! I really would love it! They look so pigmented and even and creamy! I may just NEED this like you said! I love lip crayons also! All three colors look super on you!!!! I have added these to my list! I need Sunset Orange - what a gorgeous colour!